Is your progress slower than you’d like? Are you constantly hungry, tired, or suffering from cravings? I’ve been there! Thankfully there is a solution, and I’m ready to share it with you. 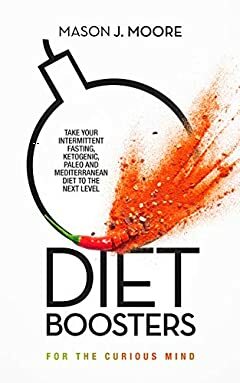 Diet boosters won’t replace healthy eating, but they will take the brakes off weight loss so that you won’t have to try so hard. They multiply your efforts so you can achieve the results you want in record time. You are probably thinking that this all sounds too good to be true and normally I’d agree with you. But in this instance the hype is real! All of the diet boosters in my book are supported by science or strong anecdotal evidence. I’ve also tried many of them myself. Weight loss is often hard and slow, but it doesn’t have to be. Stop suffering unnecessarily and reach your weight loss goals faster and more easily than you ever imagined. Use diet boosters to get the results you want in double-quick time!